John Horgan says he's focusing on British Columbians and not worrying about the outcome of Alberta's election. B.C. 's premier is also not publicly endorsing any candidate ahead of Tuesday's vote. "I will work with whoever comes out the other end. Will it be positive or negative? That's for the future to decide," he said. 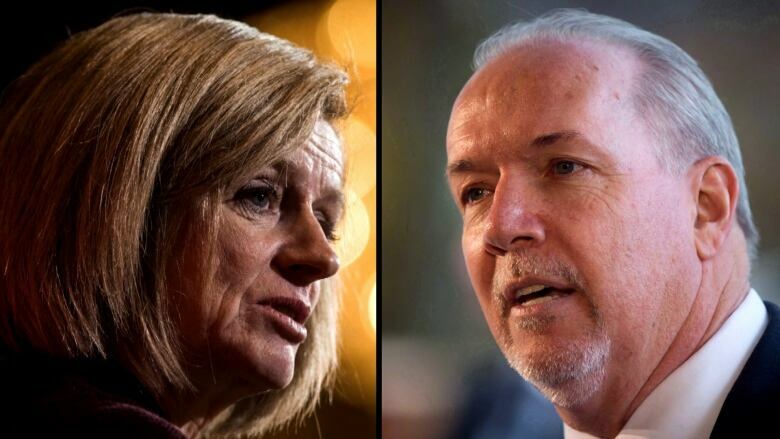 Both western provinces have been governed under an NDP banner for nearly two years, but Horgan and his Albertan counterpart Rachel Notley have clashed publicly many times. "This isn't a team sport, politics," Horgan told reporters when asked what he and Notley have accomplished together since he took office in 2017. "Provinces have differences of opinion regardless of political stripe … There have been NDP governments across the country that don't have the same views on particular issues." The results of Alberta's election could escalate tensions as both provinces dig in their heels on the Trans Mountain pipeline expansion. Horgan has said his government will use "every tool available" to fight the project, while Notley's government passed legislation that would allow Alberta to restrict oil and gas shipments to B.C. Bill 12 gives Alberta's energy minister the power to decide how much fuel is exported, how it's transported — by pipeline, rail, or tanker truck — and whether direct shipments should be stopped altogether. It was given royal assent last year, but so far has not officially been enacted. 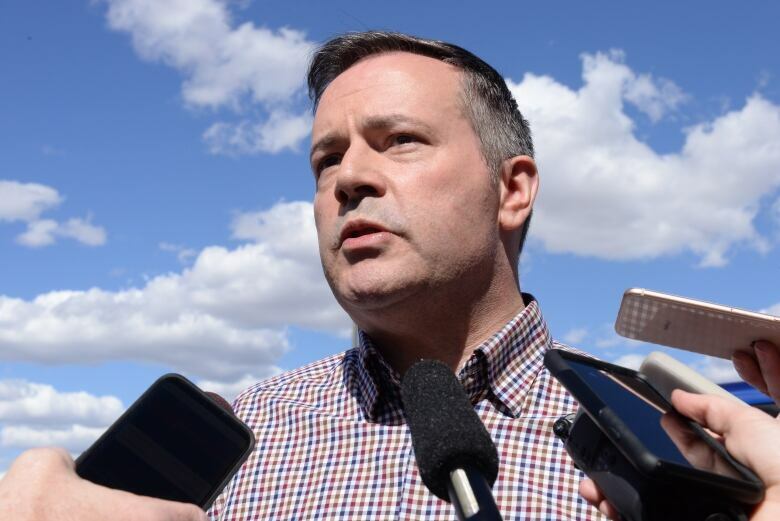 On the campaign trail, United Conservative Party candidate Jason Kenney vowed to act on it immediately, threatening to "turn off the taps" to B.C. at his first cabinet meeting if he becomes premier. 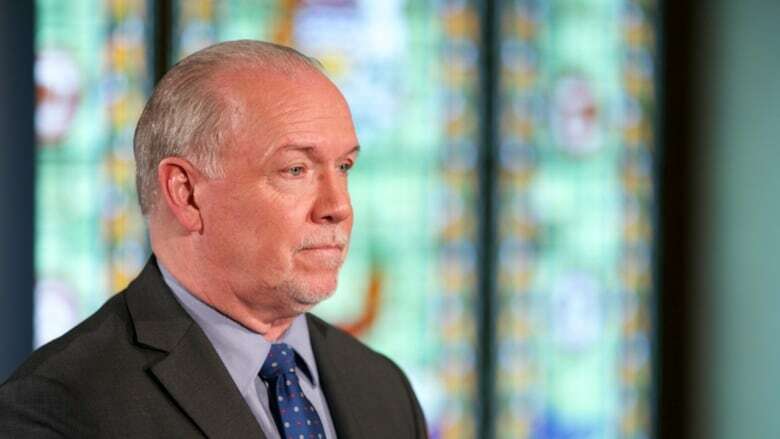 "I'm concerned when other jurisdictions threaten other Canadians," Horgan responded. B.C. Attorney General David Eby has said he'll be ready to head to court immediately to request an injunction if Bill 12 is enacted. But Horgan hopes the comments amount to nothing more than campaign rhetoric. "During election campaigns, political leaders speak candidly — sometimes hyperbolic and aggressively," he said. "Fighting with neighbours, creating discontent between Albertans and British Columbians, I don't think is helpful to anybody." Horgan says he's hopeful cooler heads will prevail, no matter who wins — and until the results are in, he's not going to dwell on it. "When there is a change in Alberta, if there is a change in Alberta, I'll deal with it then," he said.